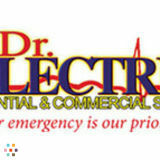 Fully Licensed and insured Electrician with16 years experience at reasonable pricing. I offer full service electrical work for both residential and commercial. Service upgrades 100A to 200A, fuses to breakers, outlets added, remodels, new construction, can lights, hot tubs, generators, and all other electrical needs.